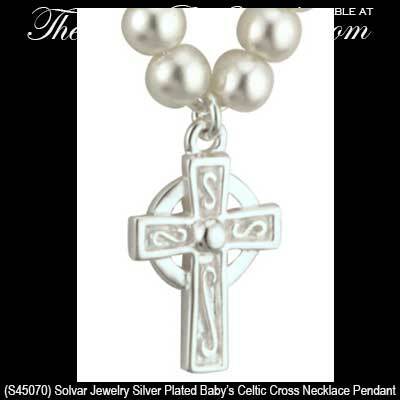 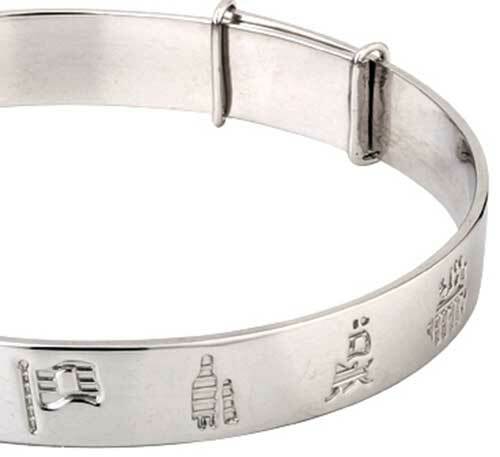 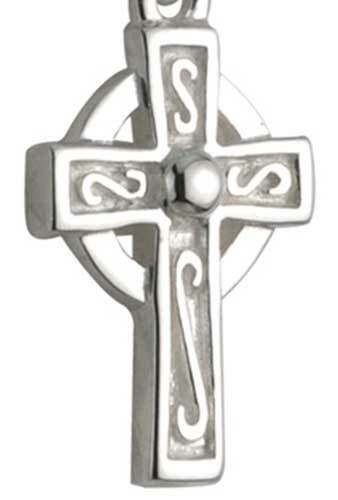 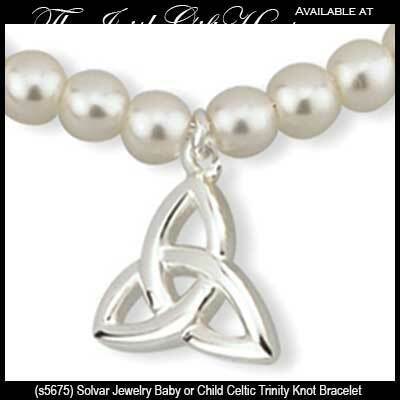 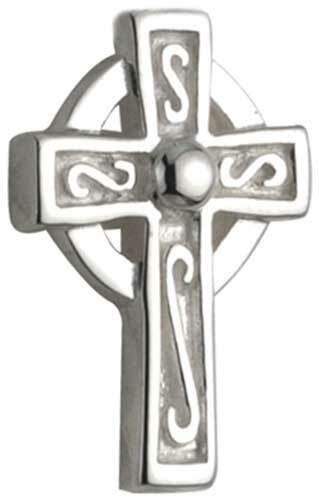 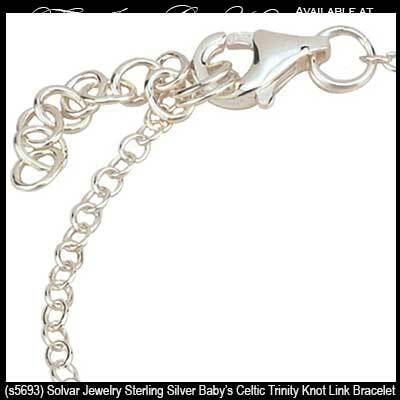 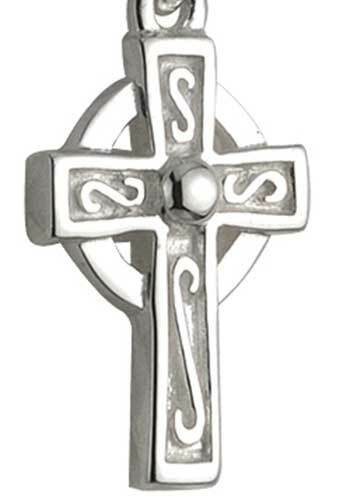 Irish baby jewelry consists of smaller size Irish and Celtic jewelry for the wee lad and lass. 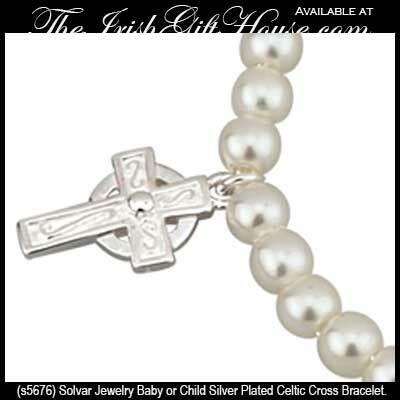 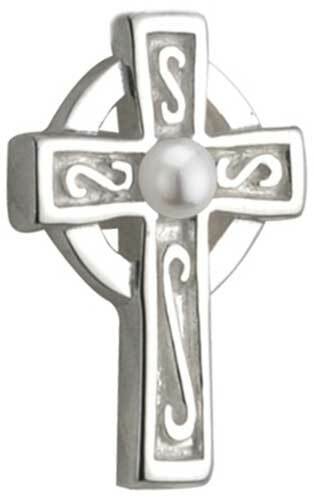 Child size Celtic crosses and Claddagh baby bracelets are included in this jewelry assortment. 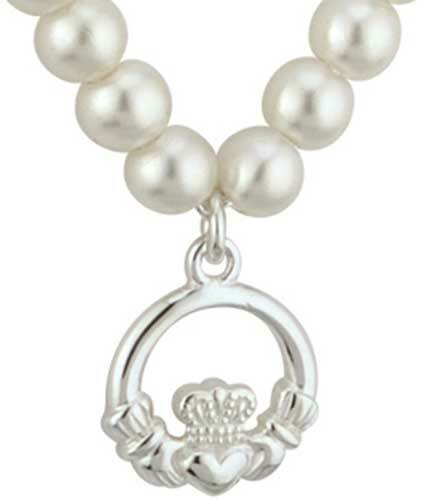 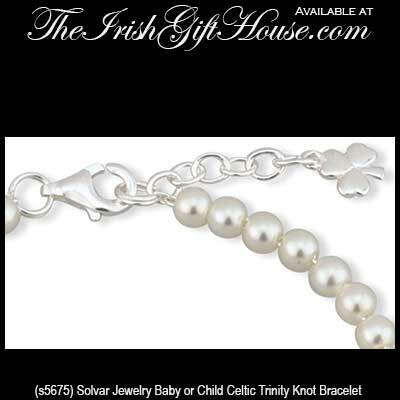 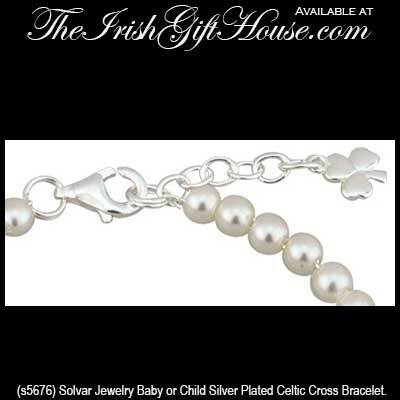 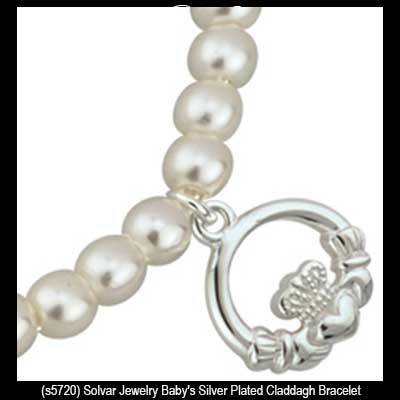 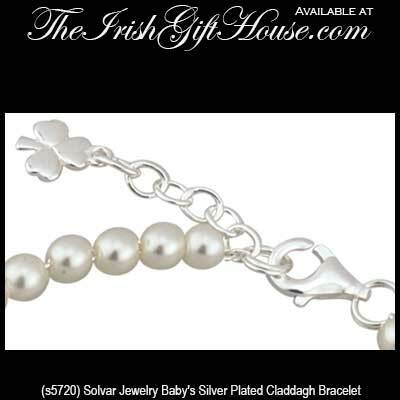 This collection of Irish baby jewelry is available in precious metals such as sterling silver and gold. 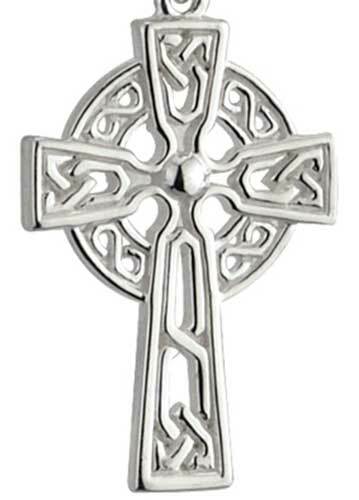 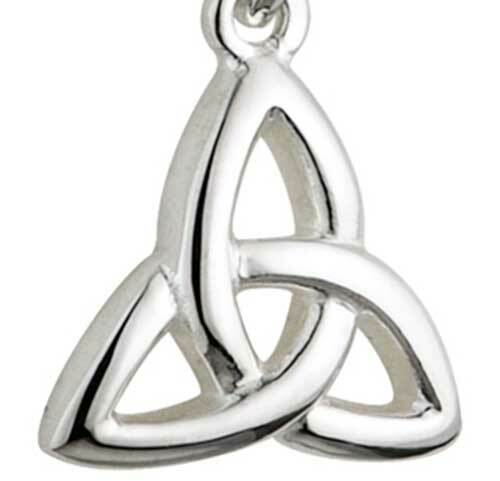 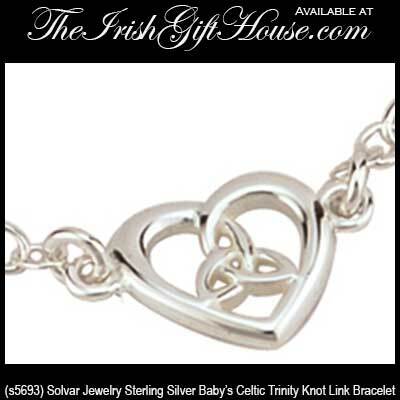 The Irish Gift House also features plated designs that includes an assortment of child size Irish and Celtic jewelry; these designs include Celtic knots and the Claddagh. 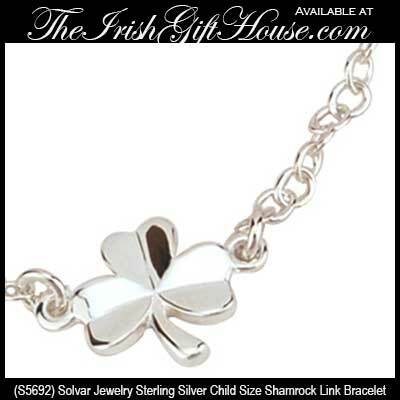 We also have baby's shamrock jewelry and some pieces with leprechauns too. 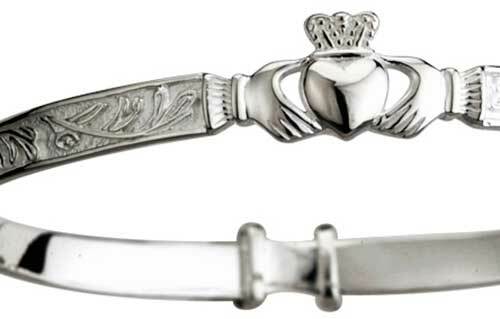 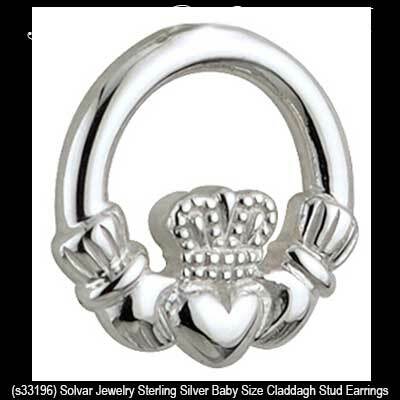 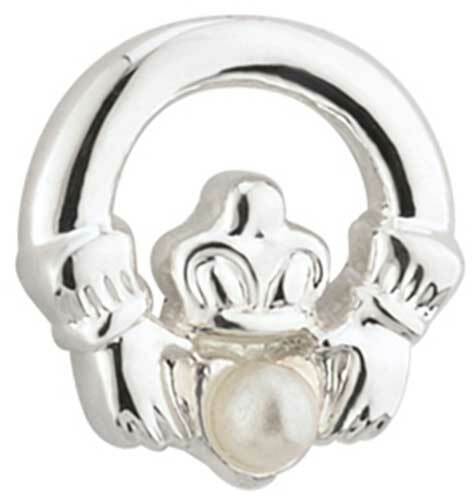 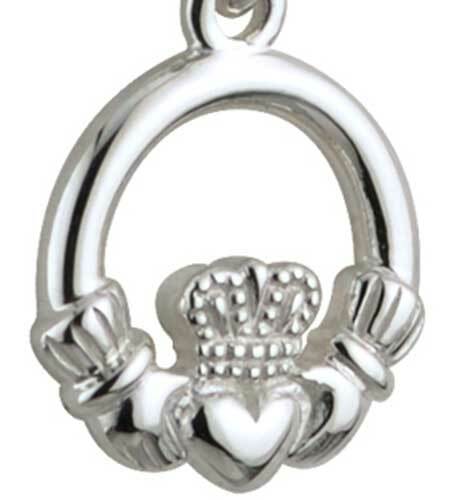 Our baby and child size Claddagh rings may be found in the main Claddagh rings section on our site.